Tool Fab’s port tools are the best indexable port contour cutters that money can buy. Our inserts are two-sided precision ground inserts that are highly repeatable with excellent finishes & long-lasting performance. 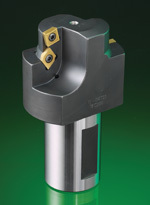 Tool Fab manufactures world-class indexable port tools to meet high-performance and consistent production requirements. Precision-ground carbide inserts ensure a high degree of repeatability for high volume, close-tolerance part production. Coolant-through design for efficient operation. Conforms to SAE 16142, SAE J514, SAE 1926/1, and MS16142 specs. Special sizes can be designed and manufactured upon request.